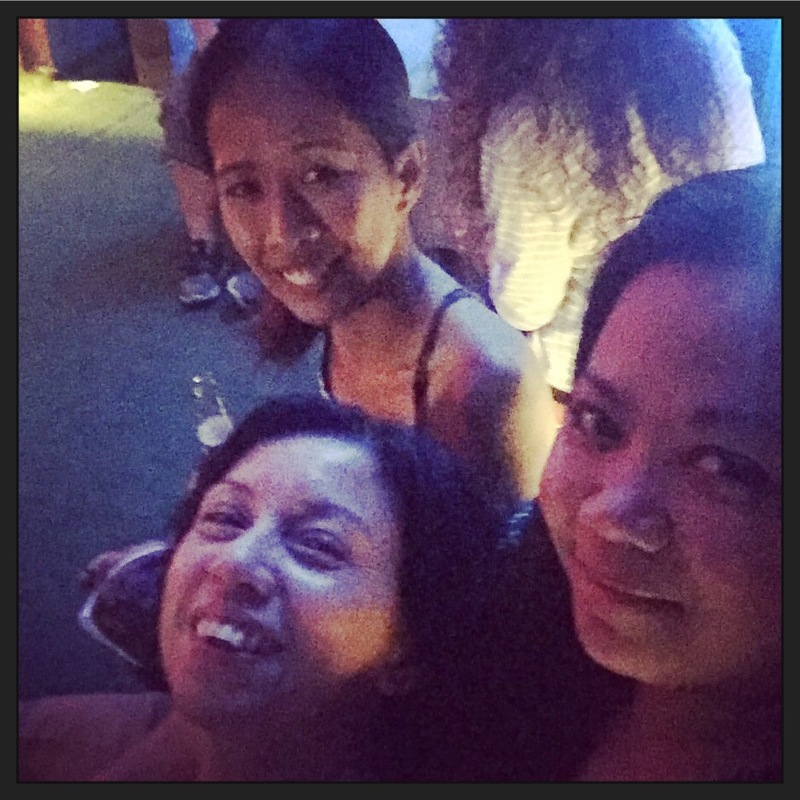 Disclosure: KamikazeeGirl was invited by budget hostel Z Hostel Makati for an overnight stay during the onset of the holidays. This was my observation and full review. 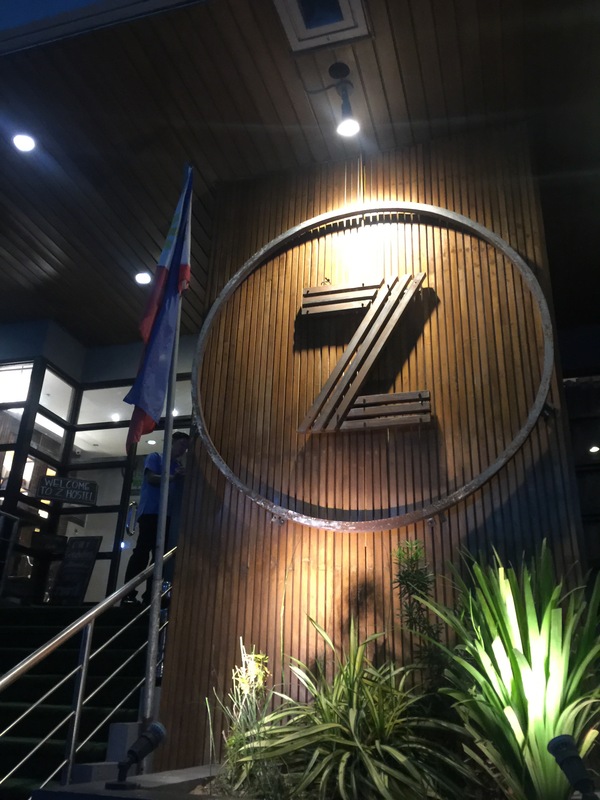 If you are a budget traveler like me who is always on the look out for cheap digs without sacrificing comfort, cleanliness or style, consider staying at the Z Hostel located in Don Pedro, Poblacion, Makati City. Check in process is very straight forward, quick and easy. 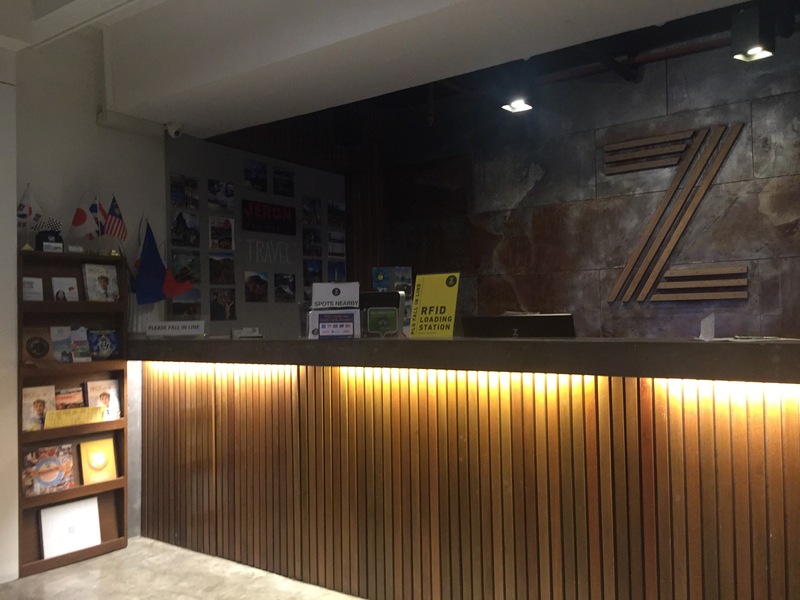 You can easily have reservations through the Z Hostel website or the many third party booking sites online. 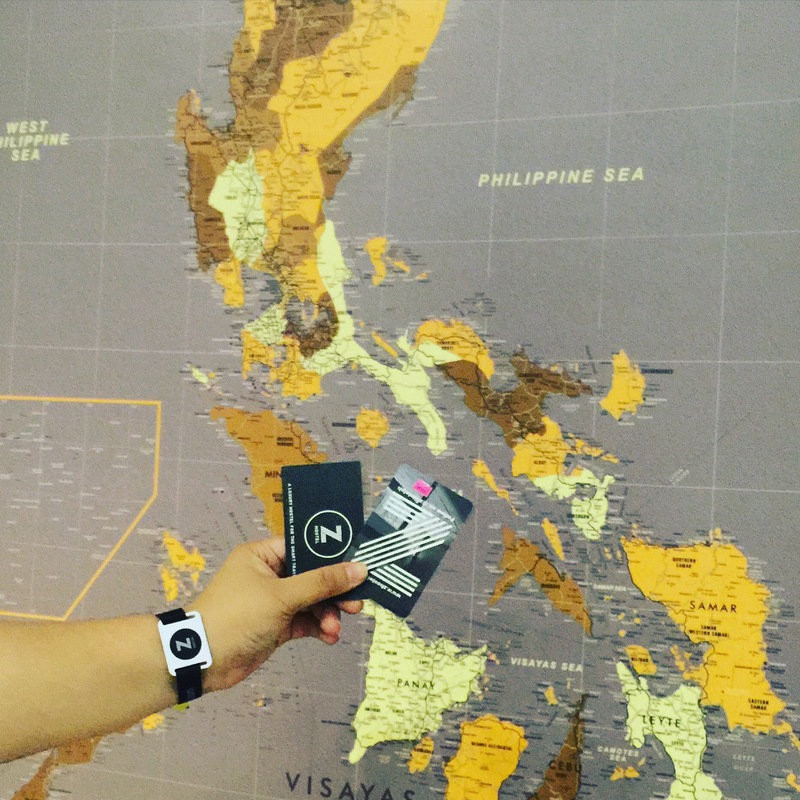 Upon check in, you will be given your key card, your towel and a bracelet with the RFID chip which you can use to purchase food and drinks within the hotel premises. 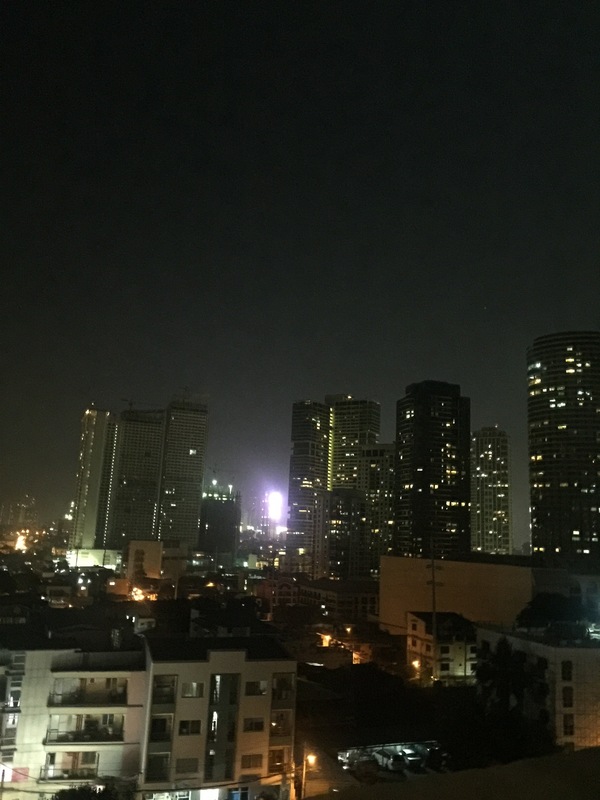 I have stayed in a lot of hostels in HongKong, Singapore, Seoul, Busan and Tokyo, and I must say that it is only at Z Hostel Manila where I encountered the use of the RFID in purchasing beverages and meals within the hotel premises. 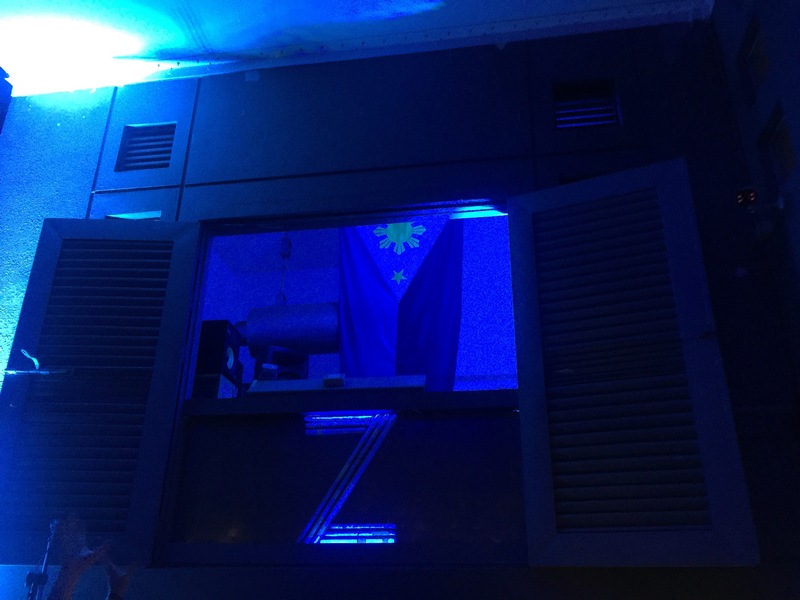 The RFID at Z can be loaded and reloaded at the lobby and at the rooftop bar where guests usually unwind. 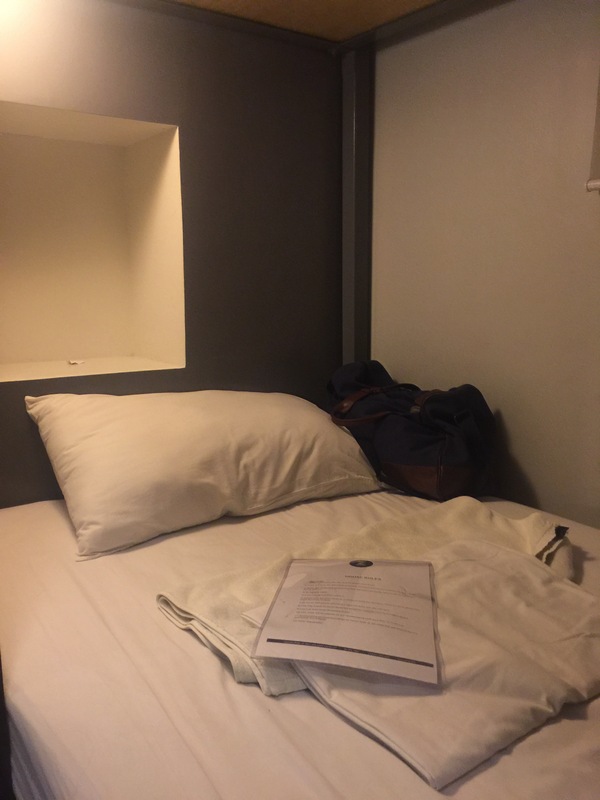 Rooms at Z is no frills, basic, clean and secure. 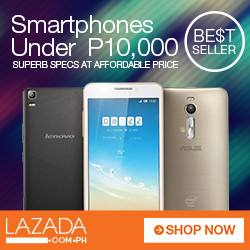 The ultimate must-haves when looking for a place to stay in. As for me, I have three non-negotiables: a locking door, a flushing rest room and a bug-free bed. Obviously, Z Hostel passed all these. A bed in any of the dorm rooms comes with its own night light, sufficient electrical outlets for charging of your devices, a pillow and a simple bed sheet. For valuables, each room also comes with lockers while guests are advised to bring their own lock and keys. One thing that Z Hostel can improve on is the availability of basic toiletries within the room. 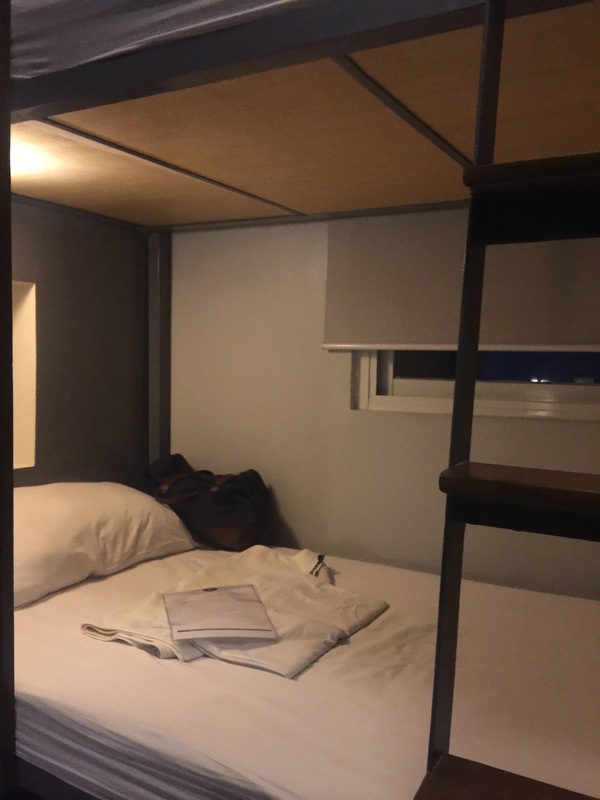 In Tokyo and Taipei, resort owners usually include a pair of dispensers in the common rest room: one for the shampoo/conditioner and one for the body wash.
Rates begin at PHP899 for a bed on an All-Female Dorm while private rooms begin at PHP2,430 for a night’s stay. Z Hostel has mixed dorm rooms and female dorm rooms which can house 4,6 or 8 persons. 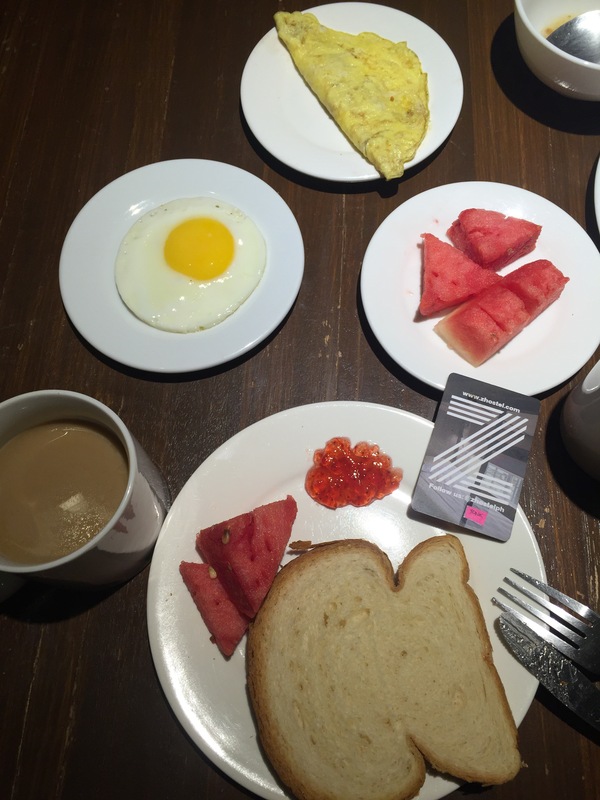 Z ZHostel has a solid F&B line up, starting from their ground floor cafe where breakfast and most of the meals is commonly served. 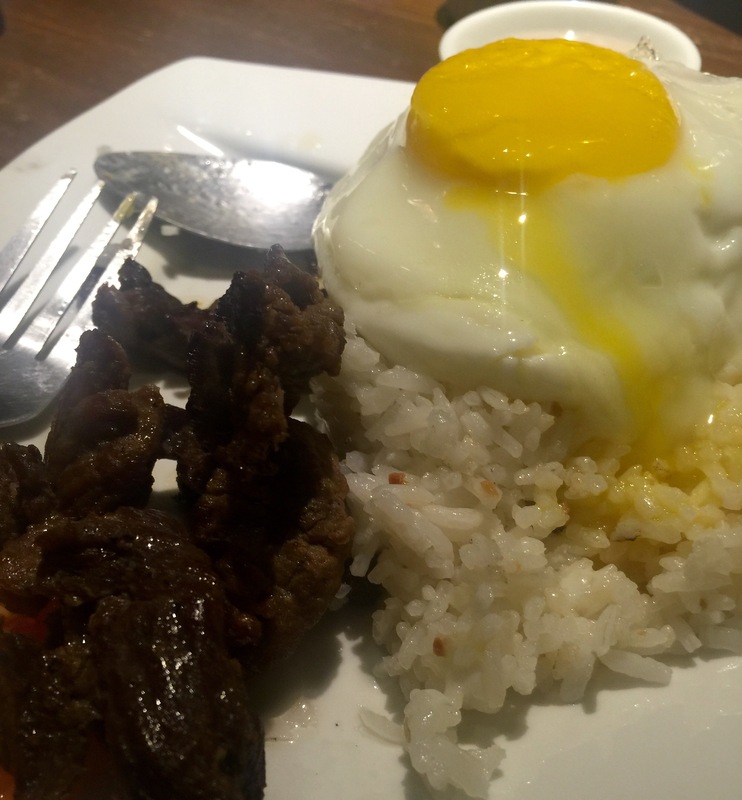 For dinner, I had the Beef Tapa which was served with a warm cup of fried rice and my favorite sunny side egg. 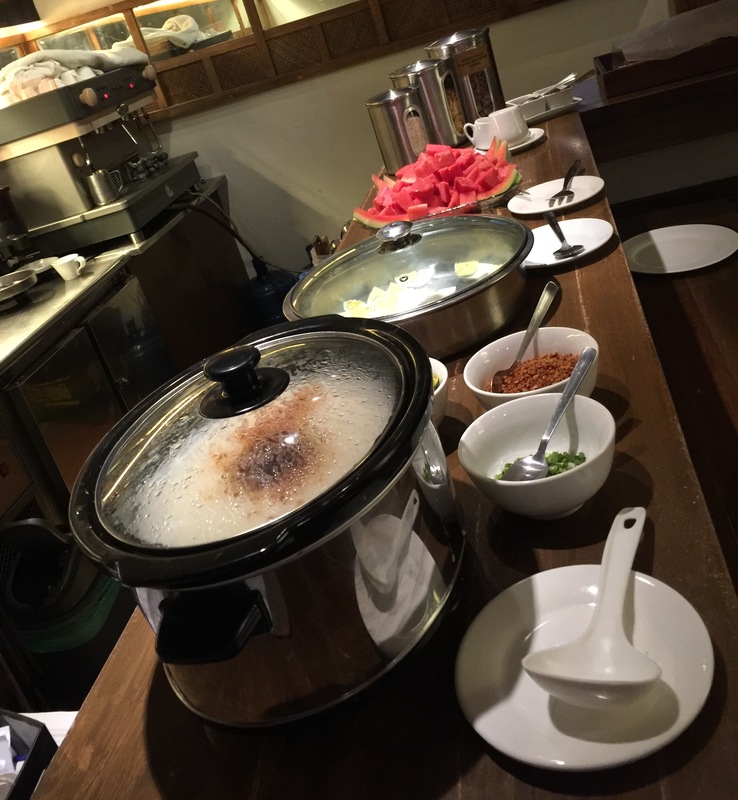 For breakfast, I was directed to the generous spread of the breakfast bar featuring congee, hard boiled egg slices, bread slices, two types of jams, eggs (cooked according to your preference), fruits, cereals and oatmeals plus juice, coffee or tea. 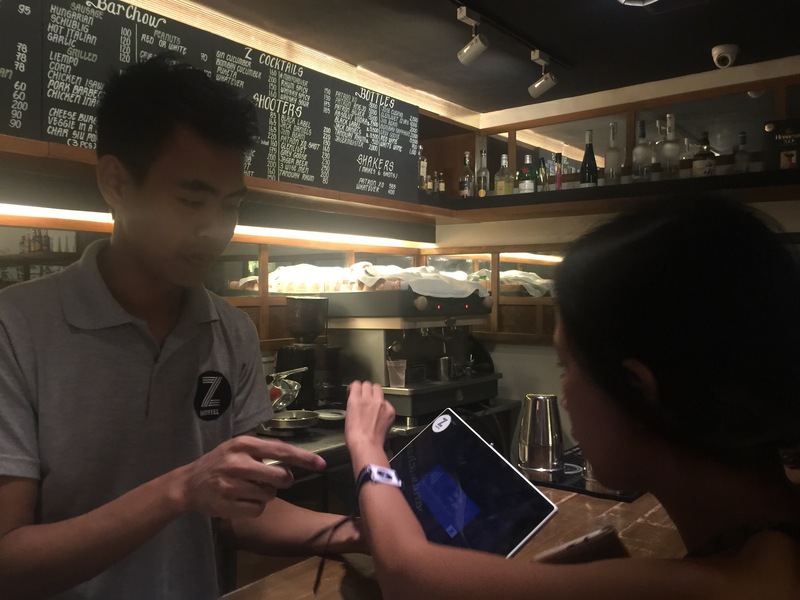 You pay for your meals using the RFID on your wrist. 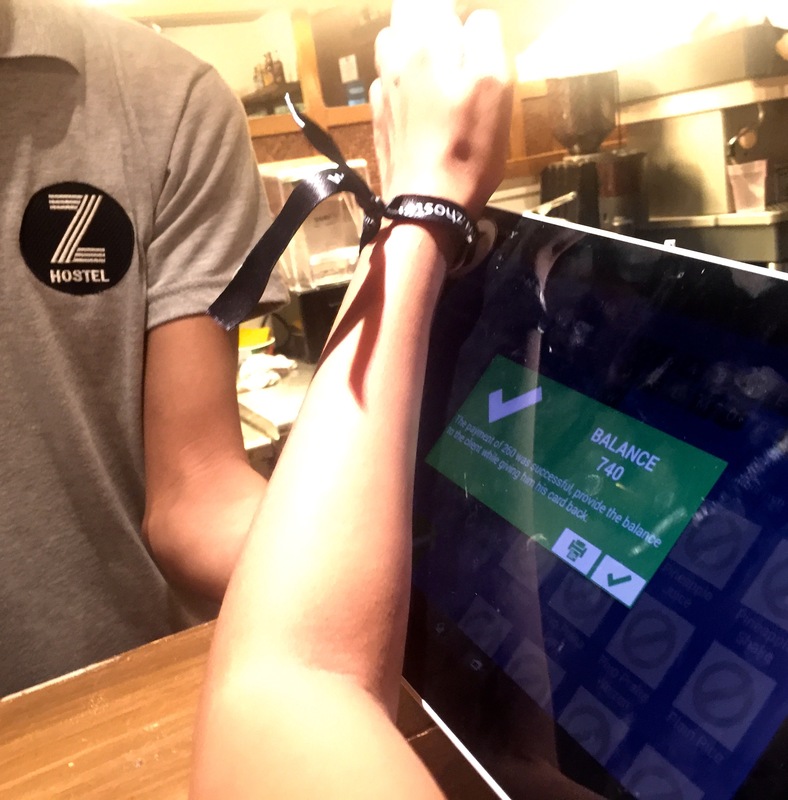 Paying is very easy: the server will rally your meals on the hand held tablet with RFID capability; after the total amount to be paid is displayed, will you tap the RFID chip against the tablet where the cost of the meal is immediately deducted and your remaining balance is displayed. As mentioned, you can also use the RFID when you pay for your drinks and bar chow at the rooftop bar. 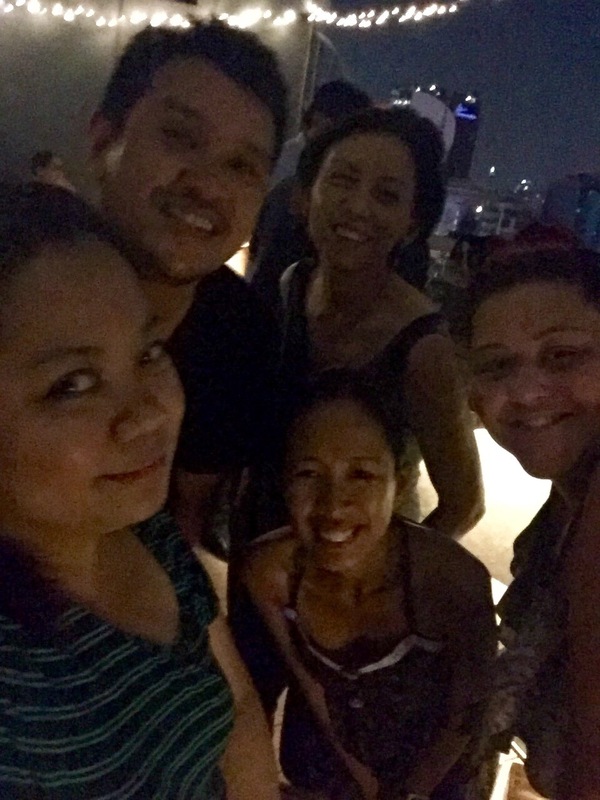 Ah – The Rooftop Bar which is already a legend in itself among Z Hostel fans. 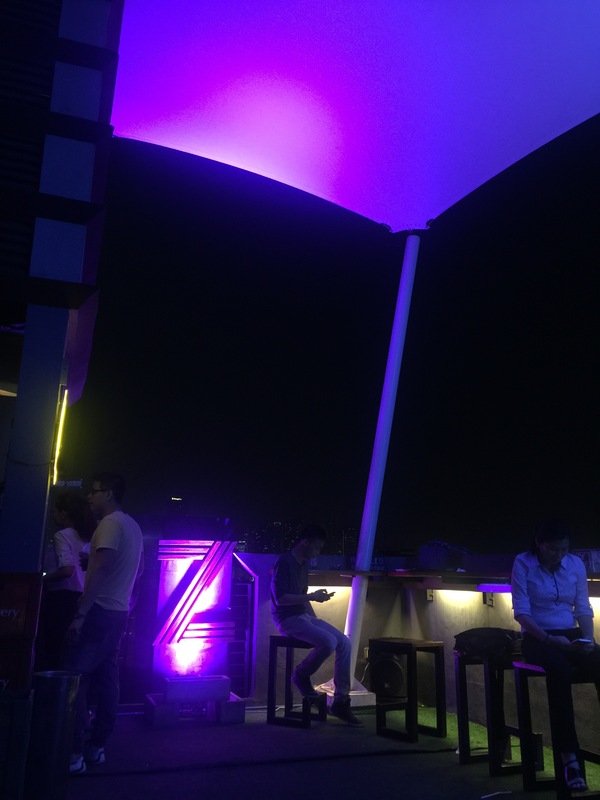 The Rooftop Bar, with its laid back atmosphere and cheap drinks and chow is famous not only among guests but also among Makati’s gimmick crowd. 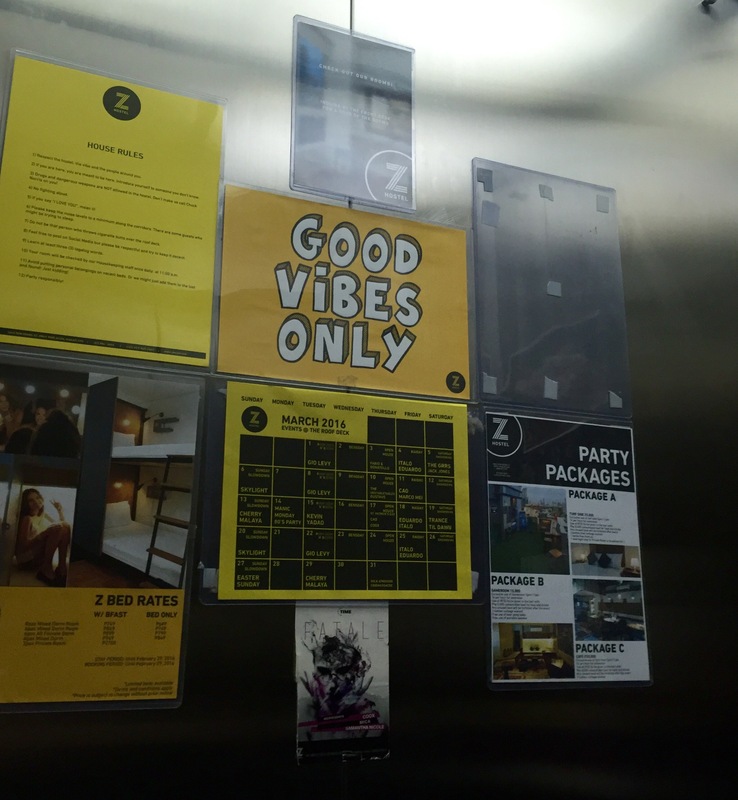 Z Hostel is the kind of place where travelers are encouraged to have fun and just relax, it encourages interaction and promotes nothing but cool vibes among its guests. Service is fast and friendly and each hotel staff seemed geared to provide customers with a nice and memorable stay. 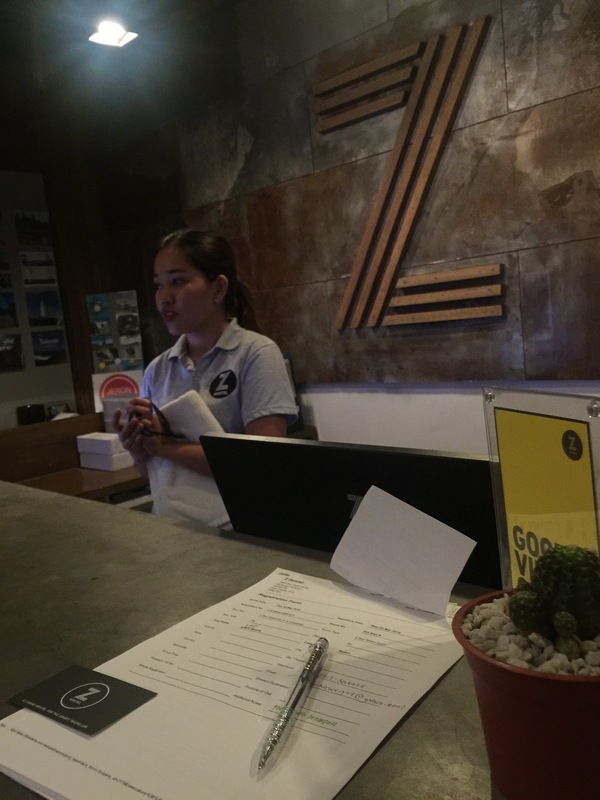 I am currently spending the night here at Z Hostel, comfortably tucked inside Makati’s Poblacion district, a stones throw away from the Central Business District. 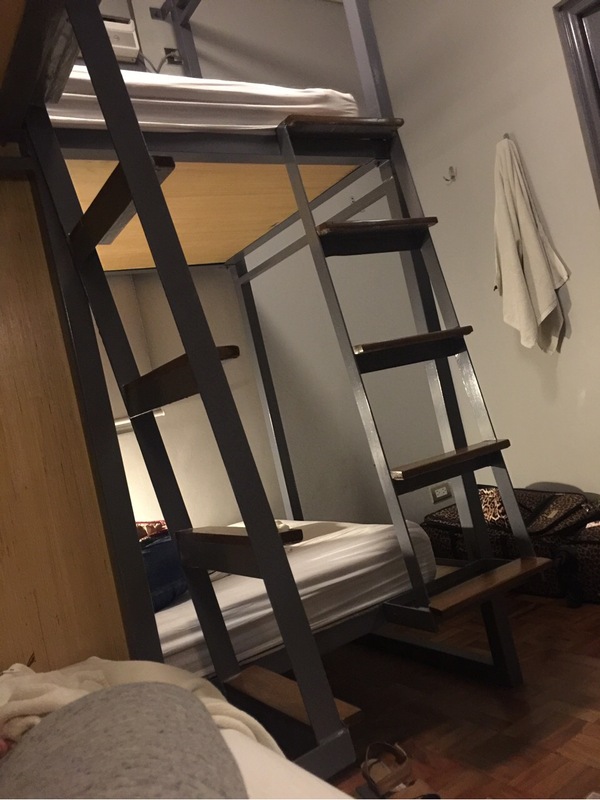 I am staying in my capacity as a blogger, but as a budget traveler, this hostel has been in my radar since the first time I heard of it from blogger friends. The top marks in TripAdvisor and rave reviews doesn’t hurt either. 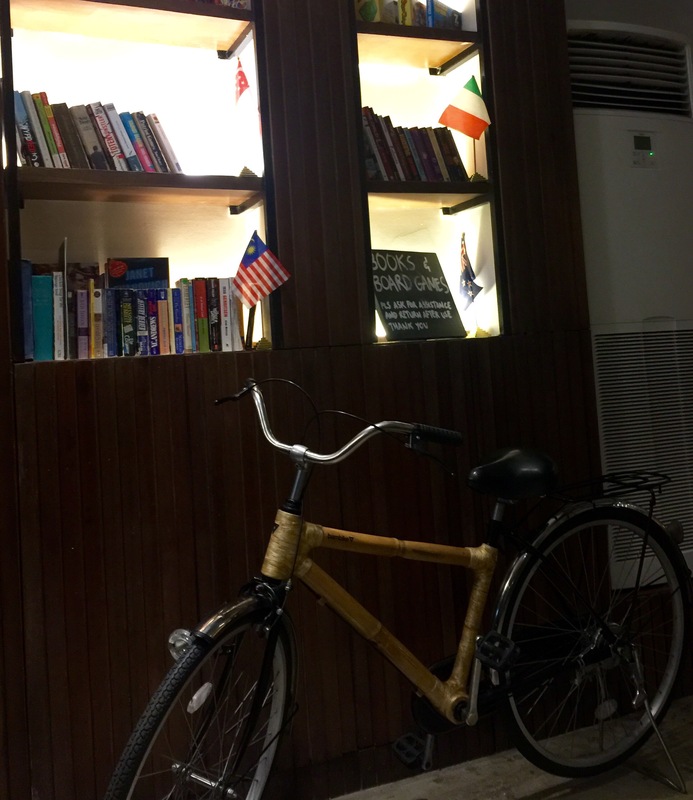 I’ll be posting a more detailed post on my stay but already I am blown away by the chill laid back atmosphere – in fact, I am blogging this using my iPhone sprawled on the lobby couch along with other travelers. This post will be all about the photos. I will be chilling in a while before I go back with the full post. When you check in, you will be issued a key card (the flat, square thing) and an RFID card (the one lopped on the wrist). 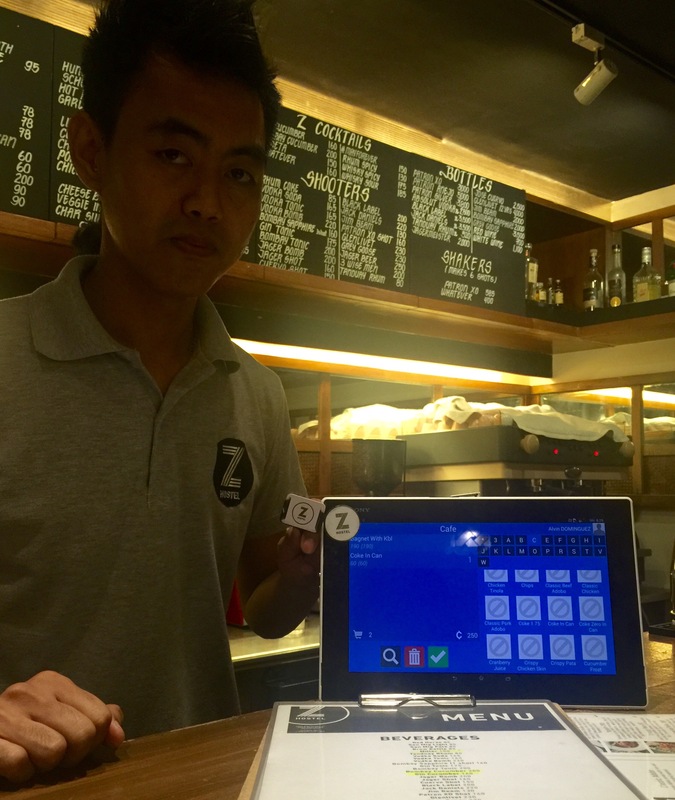 You can preload your RFID and use it to pay for your food at the cafe or your drinks at the rooftop bar. 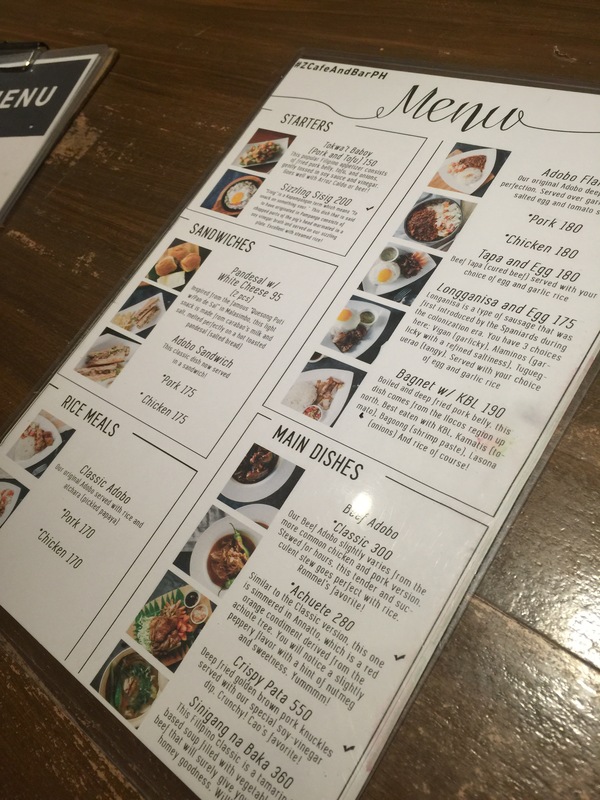 Paying what you eat is easy. You just place your RFID bracelet on the device. 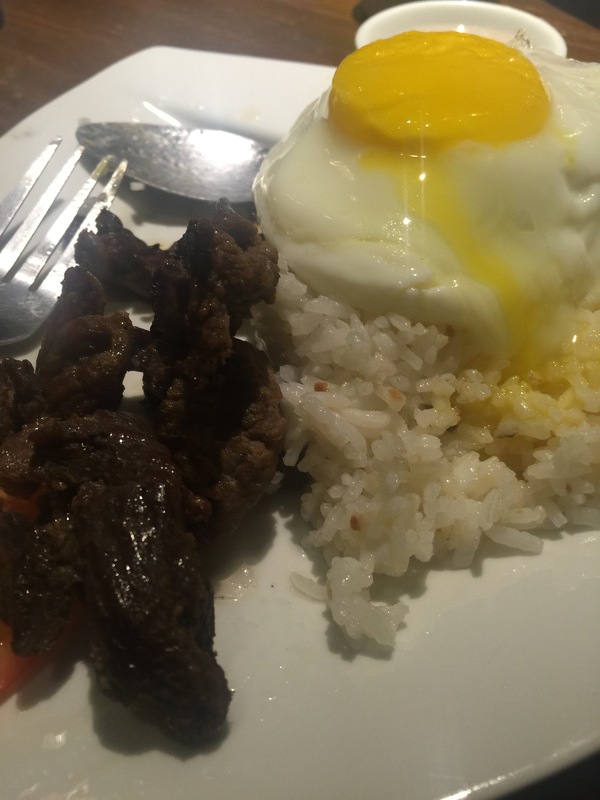 You can eat yo heart’s content without worrying on cash. 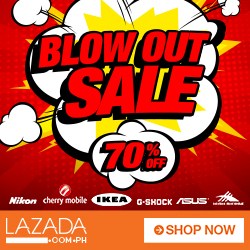 Or if you are a home girl like me who loves to chill while bundled in bed, you can always go to bed early – relax and melt the stress of going around by just laying on the thick bed, equipped with individual night lights and your own socket. More on my Z Hostel adventure tomorrow. Right now, am gonna enjoy my bed.